I am a fourth year Ph.D. candidate in the Computer Science Department of Cornell University supervised by Kavita Bala. 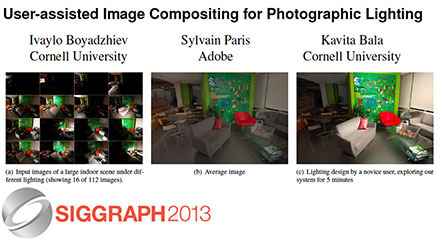 My research interests are in computational photography and computer graphics. 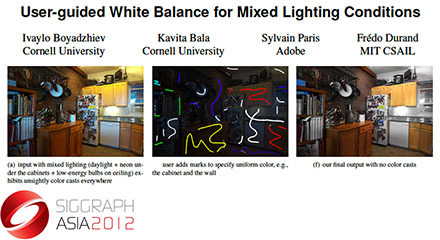 In particular, I'm interested in designing algorithms to assist advanced photographic tasks, such as lighting design, or white balance under mixed lighting. Prior to coming to Cornell in 2010, I obtained my Bachelor of Computer Science at Sofia University, in Sofia, Bulgaria. 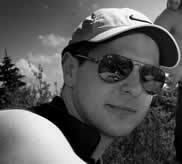 During my undergraduate years at Sofia University, I had the chance to spend two summers (2007, 2008) as a Software Engineer Intern at NVidia, working for the Linux Graphics Team. I also had the amazing opportunity to spend my 2009 summer at CERN, Switzerland where I worked as a Software Engineer Intern on the Geant4 project. As a graduate student I had the opportunity to spend two great summers (2012, 2013) working at Adobe Creative Lab, under the supervision of Sylvain Paris. I enjoy all kind of outdoor activities like hiking, running, biking, climbing, tennis, kayaking. I also enjoy reading about and practicing photography.